Cloud Solutions and Insurtech: How Driving Data is Changing Insurance? Big data has finally hit the insurance industry and it’s forcing traditional companies to change how they do business. We’re talking about telematics, the cloud-driven in-car electronics that not only help navigate but also can track how fast you’re trying to get there. For a cloud solutions technology, telematics is an industry in itself. It follows the rules of digital disruption and spawns entirely new companies in the most traditional field — insurance. This post explores how cloud solutions have combined with new insurance models to change the industry forever. What strategies should insurers undertake to make certain they are capturing all the data available to them? How Stuff Works lists some of the more popular computer systems designed to capture data from our cars. For example, in-car data can be captured by tracking the calls you’re making from the hands-free feature in your car console. Many newer model cars will also let you connect to WiMax so you can check email, send a text, or find an alternative route if traffic is an issue. Vehicle tracking systems that help drivers find the most efficient route are used by business owners to not only track what their drivers are doing, but also to cut costs and improve efficiencies. Telematics has given rise to a whole new way of providing insurance. Auto insurance policies are now being designed individually based on risk. 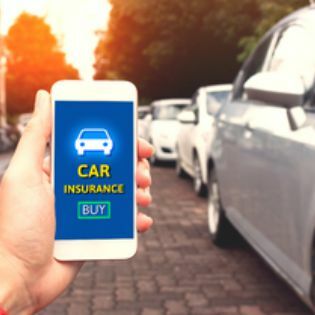 This means placing a telematics device in your car and driving around for a few weeks while your insurance company calculates what kind of policy you need. An article in CIO Story suggests that there will be 32.5 telematics-driven auto policies in North America by 2019. These policies are expected to grow annually by a 50% rate for the foreseeable future. So who are the big disruptors using cloud solutions to change the insurance industry? Cloud Solutions to Manage Insurance Risk? Accuscore is a commercial application for fleet management. The company places sensors in vans, trucks, and cars to track and score the individual driving behavior of professional drivers. The company uses cloud solutions data to measure the behavior of drivers and then predict risk. DriveSpotter places a video camera on the dashboard of a commercial vehicle and then analyzes the data and makes recommendations for fleet managers. The data is particularly helpful for analyzing details related to an accident. Root Car Insurance focuses on what some would say are the neglected individuals in the car insurance category: the good driver. Good drivers balance the load of the bad ones in the car insurance world, but Root looks for those drivers and only insures them. Just download the phone app and it will track your driving for two or three weeks. The better you drive, the better your car insurance rate should be, according to Root. These are just three examples of an entire field of new companies that have emerged directly as a result of telematics. But now that those insurance companies have the power to collect all this data through the cloud, how will they manage it? Telematics falls into the category of IoT (Internet of Things), where small sensors capture data and send it to the cloud to be captured, stored, and analyzed. Enterprise-level insurance companies now have the ability to use the data they’re capturing to develop a more accurate picture of risk by individuals and by groups. Actuarial models are shifting as a result, but one question that remains is where is all this data going to be stored? Those predictions are ever more sophisticated and, combined with data from a growing range of sources, from telematics to self-driving cars, they open up a world of potential for risk management, profiling and customer care. Customer segmentation can be based on a far more granular image of the insured, enabling efficient responses to the risk or profitability that each customer represents. Leading insurance organisations like State Farm and Progressive Corporation are using telematics and data science to help them understand individual driving behaviours, so they can lower the premium for a good driver or raise it for one who presents more of a risk. It’s clear that the future of insurance is directly linked to the cloud. TOSS C3 is standing by to help insurers adopt these technologies in a framework that is as fast as it is secure. Contact us for a free assessment and to discuss the latest cloud solutions that could benefit your business.